The Issue: In what situations does the Constitution demand that a government protect the lives of its citizens from bad private actors? Introduction The Supreme Court has generally declined to find that the Constitution imposes affirmative obligations on the government to help citizens. For example, the Court has rejected claims that the Constitution obligates the government to provide welfare benefits, housing, or a public education. Instead, the Court has viewed the Constitution as restraining government from depriving persons the right to pursue various liberties, such as freedom of speech or a life free from unreasonable searches or cruel punishments. This principle, it turns out, applies even to something so basic as human lives. Clearly, the Fourteenth Amendment prohibits the government itself from taking lives or liberty, except in a manner consistent with due process, and the Fourth Amendmend specifically prohibits the government from unreasonably seizing persons. When it comes, however, to a government duty to protect persons from bad private actors, the Court has been reluctant to find one--even when reasonable government actors could easily have saved lives or prevented serious bodily harm. Like the antebellum judges who denied relief to fugitive slaves, the Court today claims that its decision, however harsh, is compelled by existing legal doctrine. On the contrary, the question presented by this case is an open one, and our Fourteenth Amendment precedents may be read more broadly or narrowly depending upon how one chooses to read them. Faced with the choice, I would adopt a "sympathetic" reading, one which comports with dictates of fundamental justice and recognizes that compassion need not be exiled from the province of judging. Estate of Sinthasomphone vs City of Milwaukee (1992) is a federal district court decision involving another tragic set of facts. On a night in 1991, Milwaukee police received a 911 call informing them that a naked and badly beaten young man (who turned out to be a 14-year-old Laotian named Konerak Sinthasomphone) was at a specific address and needed help. The police responded to the call, as did the fire department and paramedics. When the police arrived, Jeffrey Dahmer, currently on probation for sexual abuse of a male child, was trying to reassert control over the boy while two private citizens were trying to prevent him from doing so. The police ordered the two citizens and the fire department to leave, took control of Sinthasomphone, and delivered the drugged and beaten boy back to Dahmer's apartment. Dahmer, it turned out, was a serial killer. Sinthasomphone became one of his seventeen victims, with his body dismembered and stuffed into Dahmer's refrigerator. 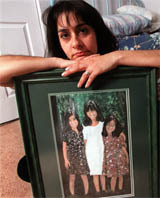 Sinthasomphone's family and estate sued, alleging Konerak's constitutional rights were violated by Milwaukee police. The federal district court ruled that the case could proceed to trial, concluding that the alleged facts suggest that it was the government's action in preventing rescue, not just inaction, that was the cause of his injuries and that Konerak's brief period of police custody might have created the "special relationship" that the Supreme Court said was lacking in DeShaney. Castle Rock vs Gonzales (2005) involved, as Justice Scalia observed for the Court, yet another set of "horrible facts." The Castle Rock police repeatedly ignored increasingly frantic calls from a mother begging them to investigate what she suspected was the abduction of her three children by her husband, who she was then in the process of divorcing and who was currently subject to a restraining order. The police did nothing to investigate. Finally, hours later, the husband showed up at the police station and opened fire. Police shot back, killing the man, and soon thereafter discovered the three dead bodies of Jessica Gonzales's young children in the back of his pick-up truck. Jessica Gonzales sued Castle Rock, alleging that the restraining order created a claim of entitlement to protective services under the Due Process Clause, a right which the city violated by failing to follow up on her calls. Voting 7 to 2, the Court rejected her argument, holding that the restraining order did not constitute a claim of entitlement because it did not eliminate discretion of government officials not to enforce it. Dissenting Justices Stevens and Ginsburg concluded that the failure of Castle Rock police to respond did violate Jessica's right to fair procedures, and thus constituted a due process violation. Respondent's first two claims involve liberty interests recognized by prior decisions of this Court, interests that involuntary commitment proceedings do not extinguish. The first is a claim to safe conditions. In the past, this Court has noted that the right to personal security constitutes a "historic liberty interest" protected substantively by the Due Process Clause. And that right is not extinguished by lawful confinement, even for penal purposes. If it is cruel and unusual punishment to hold convicted criminals in unsafe conditions, it must be unconstitutional to confine the involuntarily committed -- who may not be punished at all -- in unsafe conditions. 1. Who has the better argument in DeShaney, the majority or the dissent? 2. Do you agree with Justice Blackmun in DeShaney, that when the Constitution is ambigous, it should be construed in such a way as to provide justice to the parties? 3. Do you think the Supreme Court would recognize that the brief period police held Konerak Sinthasomphone in custody, as they returned him to Dahmer's apartment, established a "special relationship" that would convince it to distinguish DeShaney? 4. Do you think the action/inaction distinction drawn in Estate of Sinthasomphone is a workable one? Is it possible to recharacterize most instances of "inaction" as "action" of another sort? 5. Do you think Sinthasomphone's constitutional rights were violated, assuming the facts were as alleged? 6. 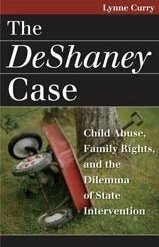 Note that Castle Rock, unlike DeShaney, is really a claimed procedural due process violation rather than a substantive due process violation. Gonzales claimed a "property right" that entitled her to a process that the police denied. Is this distinction between procedural and substantive due process clear to you? Does it make sense? 7. Did the Court in Castle Rock give proper deference to the determination of Colorado courts that state law in fact created an entitlement to police enforcement of the restraining order?